THIS 1,411-MILE ROUTE takes you to three UNESCO World Heritage Sites and as many national monuments, art and historical sites unique to New Mexico, and scores of places to climb, camp, swim, stargaze, scuba dive, encounter alien life…and eat pie. To get to the starting point of Chaco Canyon, you’ll enter the state via one of the highways in the Four Corners region (coming from Arizona, Utah, or Colorado), or fly into Albuquerque, rent a car, and make the 3-hour drive northwest on US-550. From Chaco, the route loops down through Las Cruces and then back up to Taos, giving you one incredible introduction to the Land of Enchantment. Considered an ancient ancestral home and intersection of the Hopi and Pueblo peoples, Chaco Culture National Historic Park is home to one of the largest and most impressive collections of ancient ruins in the US. Even though it’s a UNESCO World Heritage Site, it isn’t typically crawling with tourists, meaning a visit to the site can be a profound and spiritual experience. At night you’ll see a ridiculous number of stars — the canyon is a registered International Dark Sky Park that’s home to some of the world’s best stargazing. Great for: Guided tours and education, hiking, biking, camping, stargazing, admiring ancient feats of engineering and architecture. Don’t forget: Try to visit in spring, fall, or early in the day during summer months — this area gets hot in summer. Getting to Chaco Canyon requires driving long stretches of desolate dirt road, so fill up the gas tank and bring water, food, and directions with you. The roads can also be rough on an unequipped vehicle, especially if it’s raining and muddy. Up next: Take US-550 S and NM-96 to Tsankawi Prehistoric Site, which takes about 3.5 hours. Visiting Tsankawi and viewing it from the 1.5-mile mesa trail feels like taking a forbidden walk through an archaeological dig site. Hiking this path involves climbing the occasional wooden ladder and following winding footpaths worn into the soft tuff by the Ancestral Pueblo people. The trail is littered with clay pot fragments and surrounded by petroglyphs, village ruins, and cave dwellings. Great for: Hiking, photography, history and anthropological education, contemplating the gentle but lasting mark of ancient peoples on the natural landscape. Don’t forget: Check the weather forecast — this trail isn’t safe for walking during thunderstorms or wet winter weather. Bring hiking boots, sunscreen, and respect the sanctity of the area by not taking anything from the historic sites. Up next: Take NM-502 and US 285 S/US-84 E about 40 minutes to Santa Fe. Stopping into the art- and culture-saturated state capital is an obvious but important part of any New Mexico road trip. Check out the Museum of International Folk Art to see its collection of miniatures, dioramas, and artifacts from around the world. Visit SITE Santa Fe, an influential contemporary art space that hosts biennial exhibitions, often by well-known artists like Marina Abramovic and Jasper Johns. Less than a mile away is the Georgia O’Keeffe Museum, a colorful insight into the prolific painter who adopted the Southwest as her home and muse. 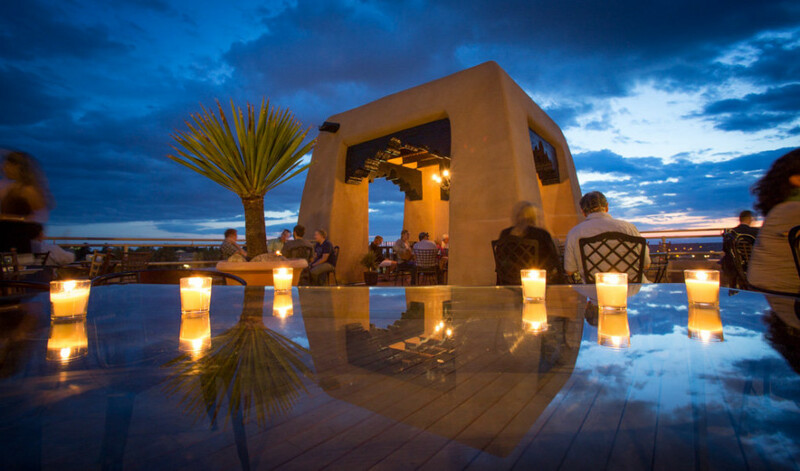 Great for: Staying several days — Santa Fe is full of places to explore, eat, drink, and shop. Don’t forget: Sample northern New Mexican cuisine. When chile is involved, order “Christmas” — a combination of red and green chile sauces. If you have time: Stop by the Kakawa Chocolate House. The specialty chocolatiers create incredible confectionery experiences — order the traditional drinking chocolate and truffles. Up next: Take I-25 S for an hour to Tent Rocks. The Tent Rocks are so named because of their distinctive conical shape, the result of activity within the Jemez Volcanic Field that left thousand-foot-thick deposits of ash, tuff, and pumice 6 to 7 million years ago. If you’re up for it, take the one-way Slot Canyon National Recreation Trail, a steady 630ft climb that ends with cinematic mesa views. Great for: Solitude, views, hiking, birdwatching, renewing your fascination with the slow-forming geological masterpiece that is our planet. Don’t forget: Sunscreen, water, hiking boots, and a camera. Arrive early if you can — you don’t want to still be up on the cliff come nightfall. Up next: Take I-25 S and US-60 W to the VLA, about 4 hours. The name says it all: The Very Large Array is an enormous field of 25-meter radio telescopes that form one of the world’s premier radio astronomy observatories. Aside from being the source of many history-making astronomical discoveries and observations, the VLA is worth visiting for its impressive scale. Climb the observation deck in the control center for an unprecedented view of the array. Special behind-the-scenes tours and night sky observation events take place on the first Saturday of the month. Check the website for details. Great for: Astronomy buffs, photographers, re-enacting scenes from ‘90s sci-fi movies. Don’t forget: Turn off your cell phone or put it in airplane mode — the frequency can interfere with observation data. The VLA is located on a relatively remote part of Route 60, with few accommodations and resources nearby. Weather can be unpredictable so make sure to call ahead, especially during winter months. Up next: Head northwest on US-60 W for 45 minutes to Pie Town. Like a rising, hazy mirage on the dusty plain, Pie Town is an unexpected but welcome pastry-themed oasis for New Mexico travelers. The unincorporated community located on Highway 60 is just north of Gila National Forest and west of the Continental Divide. Pie Town’s two rival pie purveyors, Pie Town Cafe and Pie-O-Neer Pies, split the week so only one shop is open at a time. 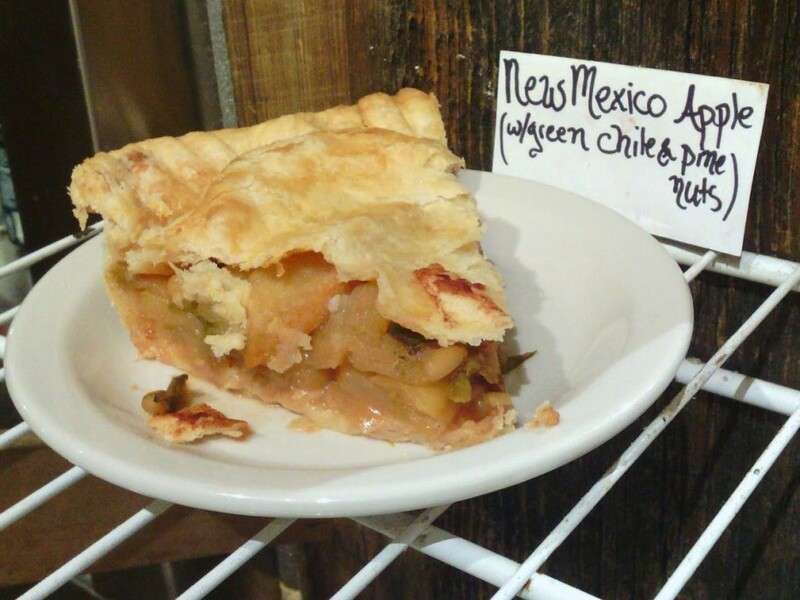 Both have long histories and excellent recipes for New Mexican apple pie with chopped green chiles and pine nuts. Great for: Eating lots of pie. Don’t forget: Visit during the annual pie festival — it takes place on the second Saturday of September. Up next: Take NM-32 S 2.5 hours through Gila National Forest to Mogollon. Once home to thousands of transient miners, the isolated town of Mogollon was all but abandoned with the closure of the mine in the ’70s. What remains is an eerie and beautiful ghost town nearly swallowed up by the surrounding wilderness. Mogollon is sparsely inhabited but has a small cafe, bed and breakfast, art gallery, antiques store, and local historical museum. Great for: Hiking, camping, birdwatching, and photography. Don’t forget: Check out the famous painted clock: Was it painted to mark the last shift at “Little Fannie?” Was it a leftover prop from My Name Is Nobody, a spaghetti Western filmed in town? You’ll have to ask a local to find out. Up next: Head southeast on US-180 E and NM-152 for 3.5 hours to Truth or Consequences. Once known simply as “Hot Springs,” the town of Truth or Consequences adopted its name from the ‘50s radio game show of the same name — the host offered to air the show from whichever town took the title. Unsurprisingly, the town formerly called Hot Springs is home to several bathing pools, making it a popular day trip for New Mexicans. My tip? 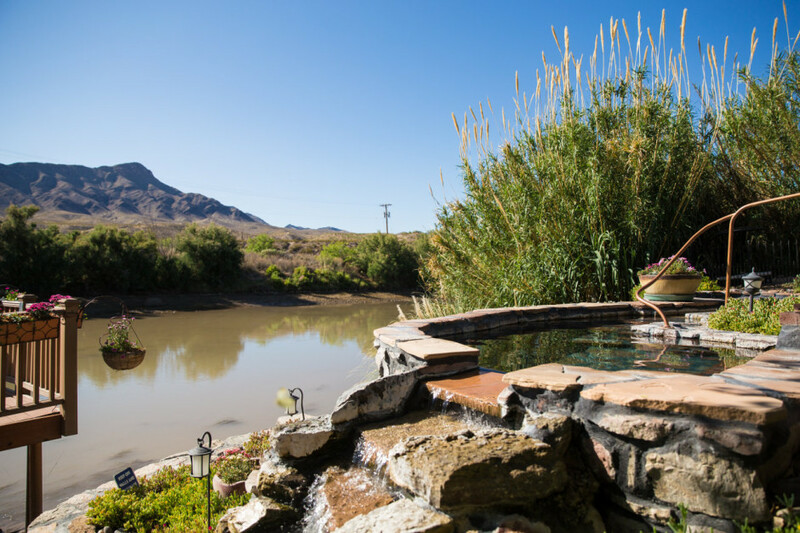 Take a swimsuit-optional, private soak by the Rio Grande at Riverbend Hot Springs, or check out Blackstone Hot Springs, where walk-ins are welcome and each room is inspired by a different cult TV show. Great for: Resting, soaking, and meeting the locals. Up next: Take I-25 S and US-70 E for just under 2 hours to White Sands National Monument. 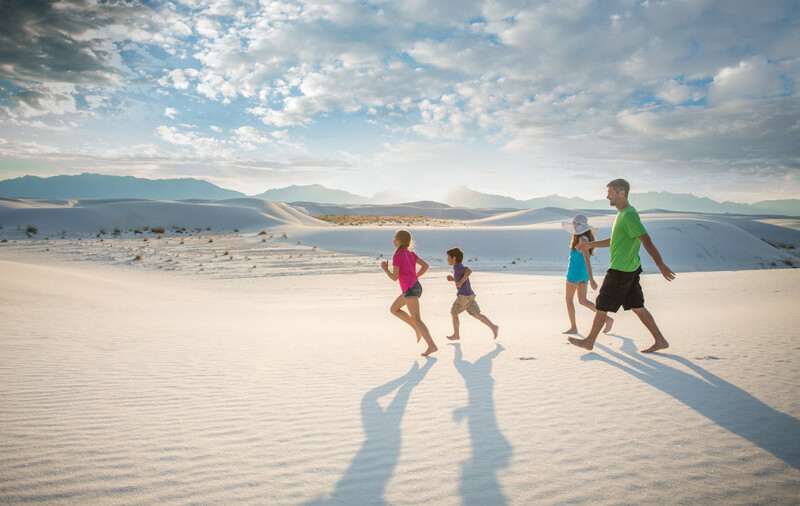 For $5, you can roam the surreal gypsum crystal dunes of White Sands National Monument, located at the southern edge of a 275-square-mile dune field in the Tularosa Basin. Take the eight-mile scenic Dunes Drive, or, for an independent experience, download the geo-reinforced map. You can camp within the dunes — 10 backcountry campsites are accessible on a first-come, first-served basis. Also note: Watching the sunset here is unreal. Great for: Photography, camping, stargazing, rediscovering your inner child by surfing down the crystalline dunes, spotting the occasional lizard. Don’t forget: Check the park website — closing hours vary throughout the year, and bad weather and missile tests (you read that right) can shut down the park on short notice. Rangers suggest calling a day ahead if you’re pressed for time. If you have extra time: Check out the nearby town of Alamogordo — it’s known for its association with the first explosion of an atomic bomb, and it’s the home of the New Mexico Museum of Space History, which includes the grave of Ham, the astronaut chimpanzee. Alamogordo is also the site of the World’s Largest Pistachio Nut, which isn’t real or edible, unlike the various flavors sold at the adjacent McGinn’s Pistachio Tree Ranch. Try the Atomic Hot Chili Pistachio Brittle or the Chile Bag. Up next: Follow US-82 E for 3 hours to Carlsbad Caverns National Park. 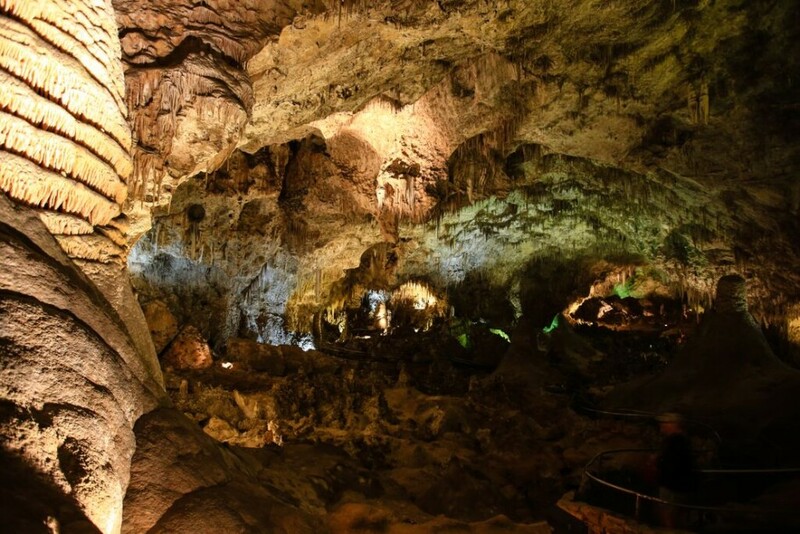 Located in the Guadalupe Mountains in the Chihuahuan Desert, Carlsbad Cavern is one of over 300 limestone caves formed by fossilized reefs 250-280 million years ago when the area was covered by sea. Self-guided tours include the Big Room (the most popular and impressive route in the park) and Natural Entrance routes. Ranger-led tours through other caves in this UNESCO World Heritage Site range from 1.5 to 5.5 hours. Great for: Those unburdened by claustrophobia — some cave tours can be tight. Don’t forget: Bring warm clothes. Also, make sure to clean your shoes and equipment as a precaution against introducing a fungus fatal to bats. Last thing: Some of the caves aren’t open to children under 4, and strollers aren’t allowed. Up next: Head north on US-282 N for an hour and a half to Roswell. To make the most of the cheesy but fun extraterrestrial tourism theme in Roswell, visit the International UFO Museum and Research Center, take a Roswell UFO Tour, or visit one of the many alien-themed gift shops and attractions. Roswell has a lot to offer besides close encounters, including the Anderson Museum of Contemporary Art, where admission is free. Great for: Conspiracy theorists, sci-fi fans, kids. Up next: Get back on US 282-N and then US-54 E for the 2-hour trek to the Blue Hole. Swimming in the crystal-clear oasis that is the Blue Hole feels like being a fish in an 80ft tank — the water is a translucent sapphire and sits within the Santa Rosa Sink rock formation. Its depth makes this a popular spot with scuba and freedivers — there’s a dive shop onsite and scuba training is available. Great for: Cooling off and refreshing yourself for the final stop on the trip. Up next: Take US-84 W and NM-518 N for about 3 hours to Taos. 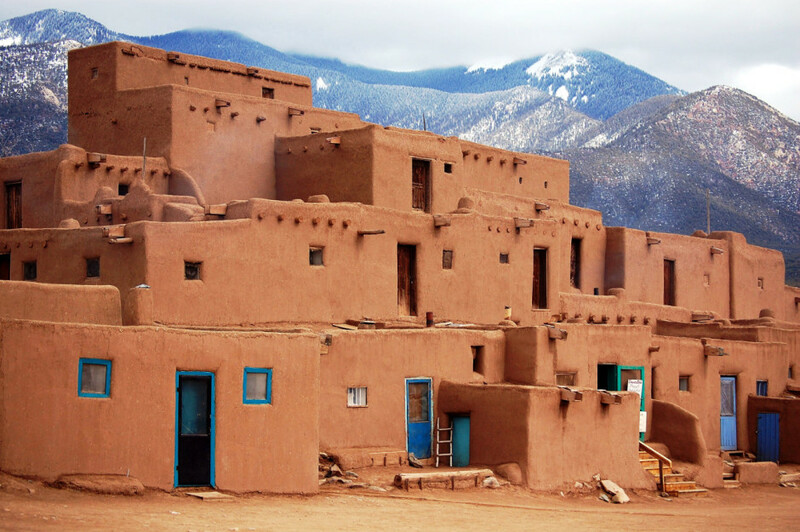 Taos Pueblo, a UNESCO World Heritage Site and multi-story adobe community, has been the home of Puebloan people for over a thousand years. One of many worthy stops in Taos, the pueblo has inspired generations of artists and Southwestern creative traditions. Great for: Learning about native cultures, standing amid a millennium of human history, buying traditional pottery and silver jewelry. Don’t forget: Taos Pueblo is an inhabited community — respect the locals on a visit. If you have time: Make your last stop a memorable one, and take the 83-mile Enchanted Circle Scenic Byway and detour to the Taos Gorge Bridge.